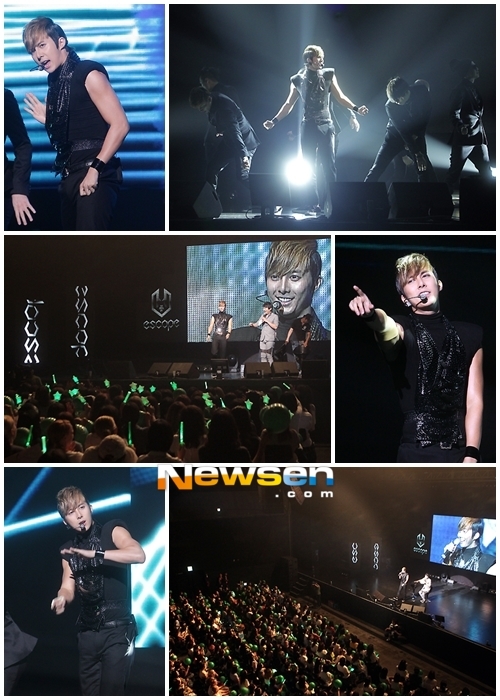 SS501’s Kim Hyung Jun held his successful showcase ahead of the released of his comeback second solo album ‘ESCAPE’. To kick off the start of his promotions, Kim Hyung Jun held a showcase & mini concert at Gwang Jang Dong AX-Korea in Seoul on June 29th. During the event, Kim Hyung Jun performed several tracks including his new title track “Sorry I’m Sorry” from his upcoming solo album ‘ESCAPE’. In addition, fellow SS501 members Heo Young Saeng & Kim Kyu Jong appeared on stage much to the surprise of the fans in attendance. Park Jung Min was reported to be in attendance but he didn’t appear on stage. ‘ESCAPE’ will contain a total of five tracks, with “Sorry I’m Sorry” as the title track. The new mini album will also include the “Intro”, “Just Let It Go”, “나쁜 남자라서” and “잘못 걸었어”.